Kindergarten Registration- For more information about the Kindergarten Registration process please review this document. Todos los dias de escuela en Farmington Woods, tendremos a un miembro de la facultad bilingue a la entrada de la escuela. La Sra. Gravino, le ayudara de 8:45 a 9:10 si usted tiene una pregunta, tiene algun problema o necesita informacion. Cuando la Sra. Gravino no este presente, el Sr. George estara disponible. Les trataremos de ayudar con mucho gusto! Need to Enroll for 2018-19? 1) Review and complete an online registration packet for your child. Please wait for the school to contact you after completing the online registration process to insure all required information is available to complete enrollment at the school. 2) After your online registration is received by the school, registrations are then finalized at the school by appointment, typically 9-11am daily. The school will contact you so set up your appointment. FWES Students, tell us about the ACTION you have taken with your learning. Share your action through twitter as well with pictures and information #fwesaction (please remember to tag us in your post @fwesibpyp)! FWES has fantastic staff members that are the inspiration in learning each day. Take the time to Recognize one of our staff members for all the hard work they do! 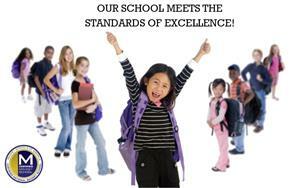 We are very proud of our students, staff and families and the excellence they inspire each day! Mrs. Pierce will attend the National Magnet Conference in April, 2018 to accept our award. A school wide celebration will be planned for later this spring! Certified in the Magnet Schools of America Standards of Excellence! Farmington Woods IB/PYP Magnet Elementary School was among the first 55 schools located in 12 states (AL, CA, CT, FL, LA, MD, NC, NV, SC, TN, TX, and WI) to successfully complete an approximately nine month evaluation process and demonstrate through evidence, reflection, and strategic action that it has established the best practices entailed in the Magnet School Standards of Excellence. FWES thanks Cary Rotary International for their partnership to support the Read A Book Get A Book Literacy initiative. The PTA and school were presented with $500 to use to purchase reading material for struggling readers. Readers get to select texts and the books are the student's to keep in their home library. When they can read the book successfully and bring it back to school to read with an adult volunteer, they may then select another book to keep and practice reading. We appreciate Emily Dean, our literacy coach, and our PTA Rotary Reader volunteers for supporting this project. It is essential that students have books at home to read and to practice the skills they are learning in school and this program allows students to build a personal collection while also getting 1 on 1 time with an adult to practice reading. Farmington Woods is proud to support student academic and behavioral success in school through the implementation of our Positive Behavior and Intervention Support program. Our school expectations are that students will consistently Go for the GOLD: Give and earn respect, Own your action, Lead by example and Demonstrate cooperation. Our students earn positive recognition individually and as a whole class when they demonstrate these expectations throughout the day. Our program was developed by teachers and parents and we reflect each year and make adjustments when needed. FWES Awarded WCPSS 4Cs Grant! FWES has been awarded a 21st Century 4Cs grant from WCPSS for the 2017-18 school year for a project entitled How We "C" the World. 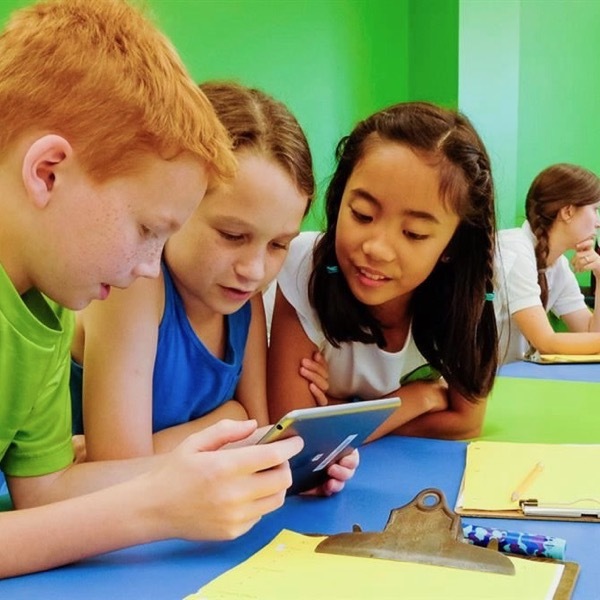 The transdisciplinary project will engage 3rd-5th graders with virtual reality experiences that allow students to learn about locations in the world that support their learning of aligned curriculum standards. Students will use their experiences to create projects and share their learning with others. 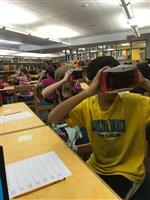 We are excited to take these 21st Century Virtual Journeys! 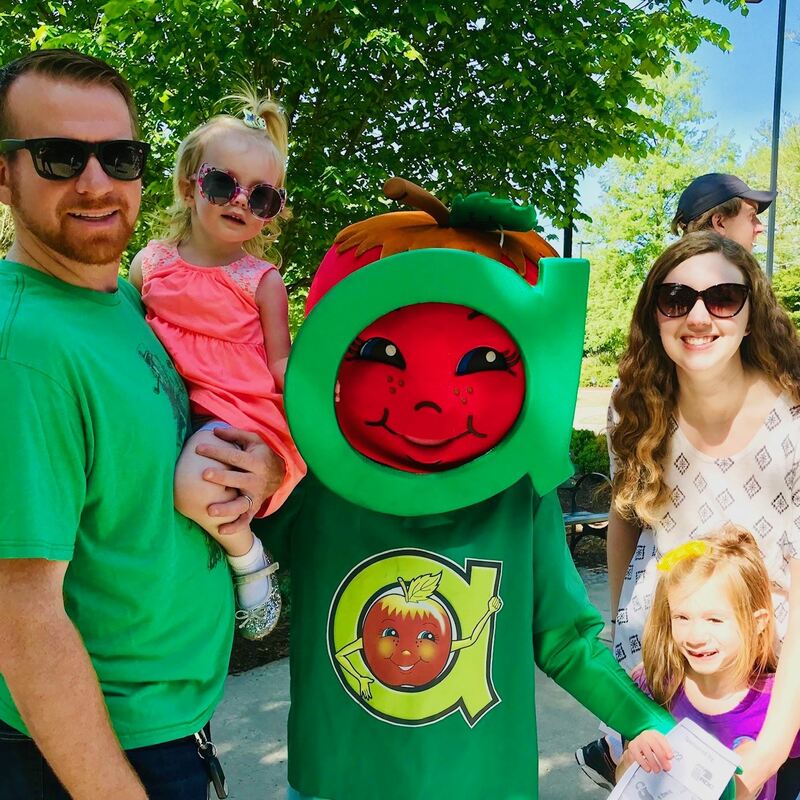 FWES Earned the Brains and Bodies Bronze Award in 2017 for promoting a healthy, active lifestyle at school. We are also proud to have earned the Sneakers and Spokes Award 2017 for promoting walking and biking to school! 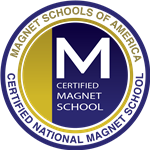 National Magnet School of Excellence 2017 was earned based on the implementation of our Primary Years Programme and the achievement growth of our students. This Merit Award also recognizes our school for involving parents and the community in our work with students. 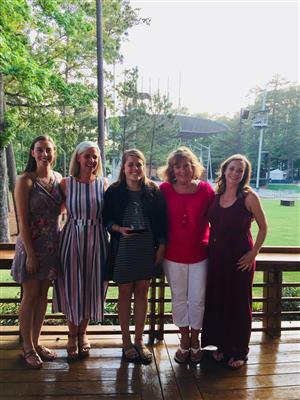 Five Farmington Woods Teachers were nominated for the Wells Fargo Excellence in Teaching Award as part of the Cary Chamber of Commerce Honor a Teacher Celebration. FWES nominees were (Lf to Rt) Tina Kollauf, Annie Burke, Brittany Packer, Laura Cerasi and Allison Mooneyham. 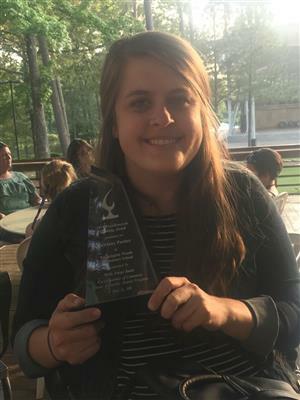 We are proud of Brittany Packer, 3rd Grade Teacher, who was selected as the FWES Excellence in Teaching award recipient at the celebration event.